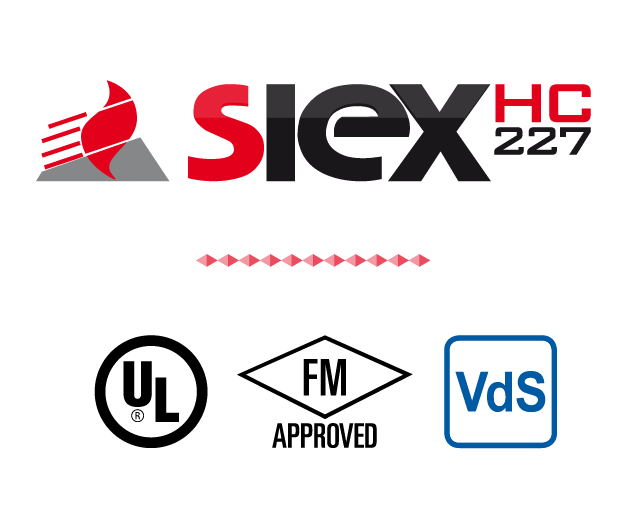 SIEX-HC™ 227 is known for its versatility in protecting the widest range of hazards and for its combination of efficiency, safety and low cost. It works by total flooding, with a very rapid discharge in less than 10 seconds. It is suitable for use in occupied areas because its extinguishing method does not reduce oxygen. Its effectiveness in such a range of circumstances is due to the extinguishing agent used, DuPont FM-200®, which is suitable for flammable liquids, combustible solids and electrical hazards. The combination of the components of the kit enables the most reliable and cost-effective protection. at 25 bar (360psi) and 42 bar (610psi). This system is pressurized with dry nitrogen, providing different pressures depending on the requirements of the hazard. 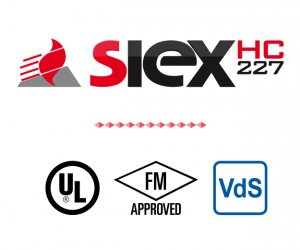 SIEX-HC™ 227 systems operate at 25 bar and 42 bar. The different working pressures adapt to variations in the installation properties, thus covering many different hazards with the highest performance quality. 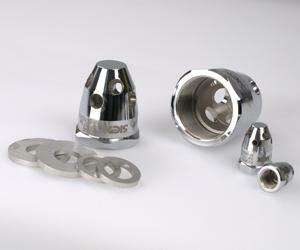 They are optimized for the protection of various isolated hazards using our selector valves. All these systems have recognized VdS, FM and UL certification, with maximum international prestige. The expertise of our designers and engineers ensures the quality of each project. We advise on every project, always offering the most suitable solution for each specific need. We have the most advanced hydraulic calculation programs including SIEX-HC™ 227 specific programming approved by VdS-FM-UL. The system design meets the ISO 14520, UNE 15004-5 and NFPA 2001 standards, on which these system calculation requirements are based. Rapid extinguishing time with discharge in less than 10 seconds. Low storage pressure with low noise discharges. FM-200® is a clean chemical gas (heptafluoropropane). It is stored in liquid phase thus requiring reduced storage space and its conversions to vapor easily occurs in the pipe work once the cylinder has been released. It is a colorless, odorless, non-conductive agent. FM-200® extinguishes fire by physical and chemical means. It essentially weakens the flame by heat absorption until the fire disappears.